Jason Bateman w/ Chris Pine at Lakers Game. March 15, 2009. 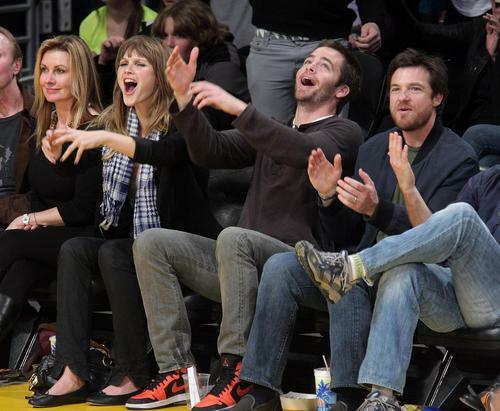 HD Wallpaper and background images in the Jason Bateman club tagged: jason bateman march 2009 basketball game la lakers chris pine candid. This Jason Bateman photo contains business suit. There might also be street, city scene, urban setting, automobile, car, auto, suv, truck, and carriageway.